Christian Dior Dune Pour Homme is a wonderful fairy tale for everyone who is looking for a way to pave the way to a mysterious country where dreams come true. 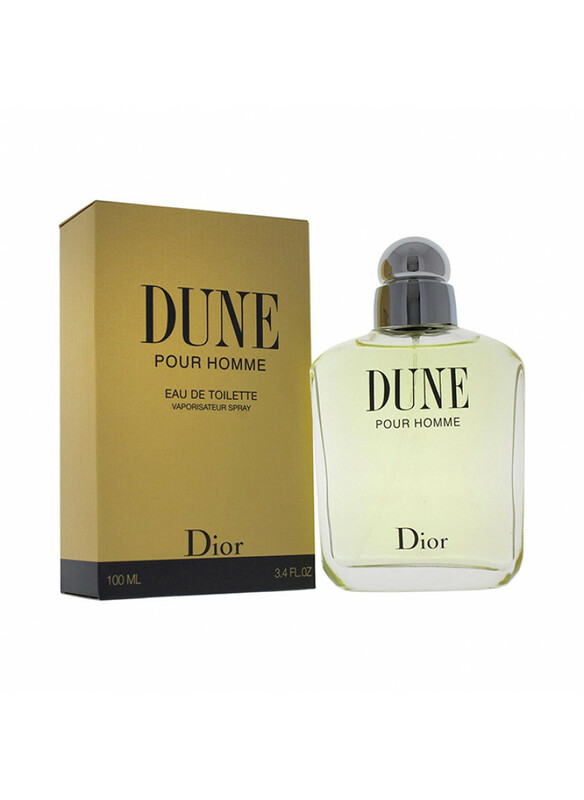 As a transparent cloud, Dune Pour Homme will delight his fan in every occupation. 1997 was an exceptional year in the history of Christian Dior, since during this period Dune Pour Homme was released. Sensing the delicate bouquet of the aroma..
Christian Dior Dune Pour Homme is a wonderful fairy tale for everyone who is looking for a way to pave the way to a mysterious country where dreams come true. As a transparent cloud, Dune Pour Homme will delight his fan in every occupation. 1997 was an exceptional year in the history of Christian Dior, since during this period Dune Pour Homme was released. Sensing the delicate bouquet of the aroma being described, its owner as well as plunges his head with his thoughts and emotions into the wonderful space of miracles. Chords of such sounds as: black currant, basil, fig leaf and sage - appear before connoisseurs in the head of Dune Pour Homme. In the middle, the rezeda, the rose and the fig are closely intertwined, covering the adherent of Dune Pour Homme with invisible, fragrant dew. In the base notes of these perfumes are reflected sandalwood, vanilla, cedar and tonka bean. You can talk for a very long time about the fairness of the decision made by Christian Dior when selecting the creator for Dune Pour Homme, but most of the adherents say that Olivier Cresp flawlessly proved itself in the described role.